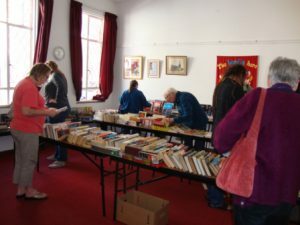 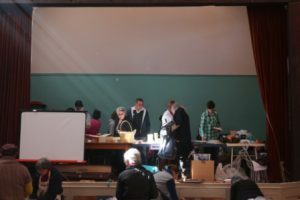 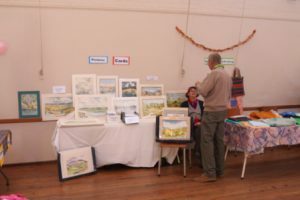 Before the Fair began, everything had to be set up. 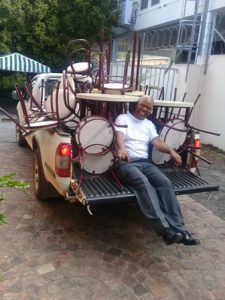 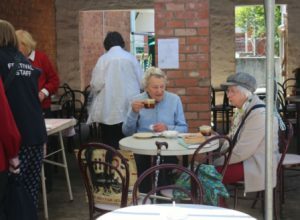 Timothy Stephen, Cathedral Verger, enjoyed riding with the chairs and tables kindly lent by Rhodes for the Tea Garden. 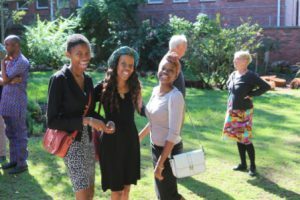 The Cathedral Student Ministry hosted senior members of the Cathedral family in the Deanery garden. 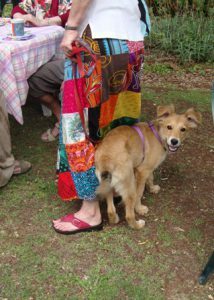 The Revd Dr Claire Nye Hunter with the new Deanery ‘rescue dog’ Rocket. 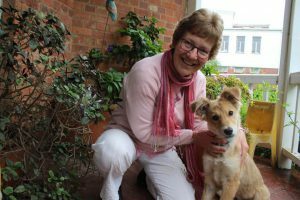 In the early hours of 30 September she barked and woke Claire, alerting her to the fact that the Traffic Department next door was on fire. 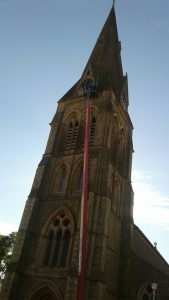 The fire brigade came quickly, and the fire did not spread to the Deanery or Sub-Deanery trees, nor put those homes and families in danger. 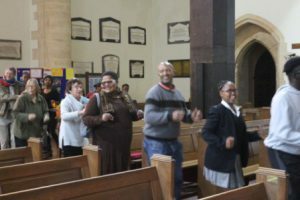 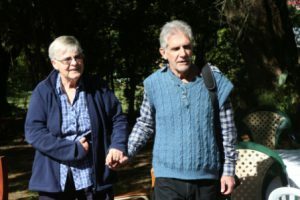 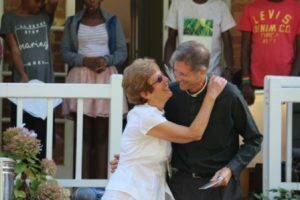 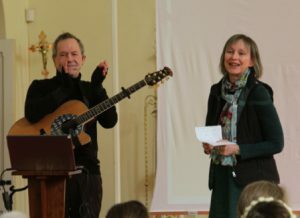 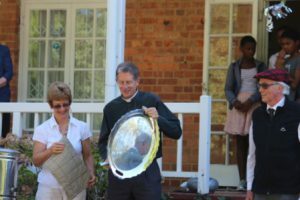 The Parish Council honoured poet Chris Mann and his artist wife Julia Skeen, by designating them as “Honorary Artists in Residence, Cathedral of St Michael & St George, Grahamstown”. 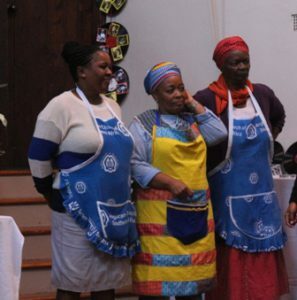 This award was conferred on them on 24 September. 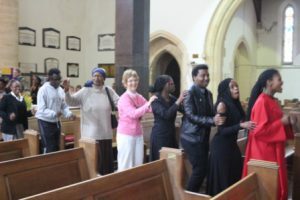 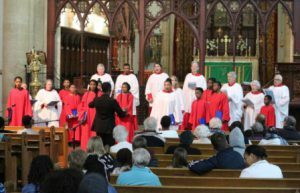 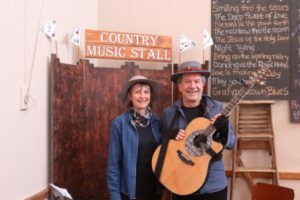 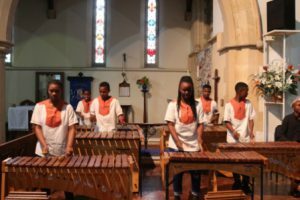 This lively and successful concert on Saturday 30 September showcased the musical talents of Cathedral parishioners and friends. 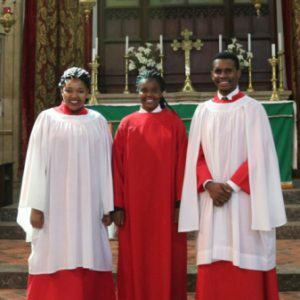 A special occasion for the Cathedral Choir on Sunday 3 September. 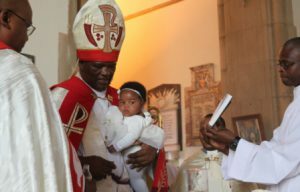 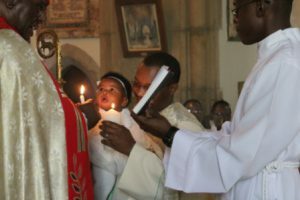 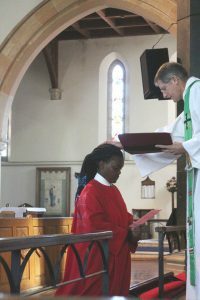 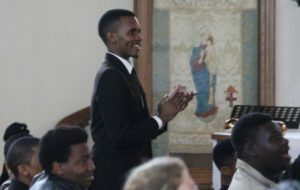 Avile Sonyamba was inducted as Head Chorister by Dean Andrew Hunter. 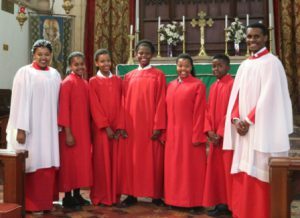 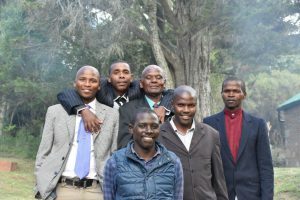 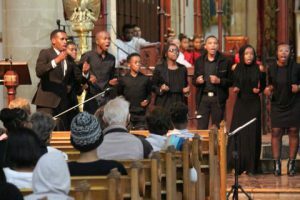 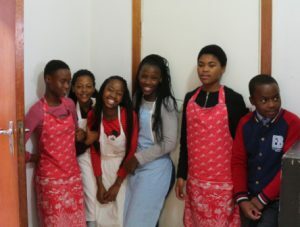 Anelisa Kelemi and Kutlwano Kepadisa with the new choristers: Siyolisa Sandi, Khazimla Gedze, Sixolile Mafani, Alizwa Tom, and Ambesa Cagwe. 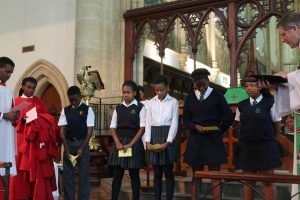 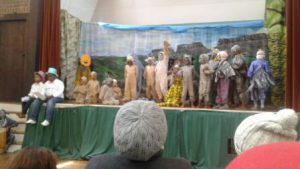 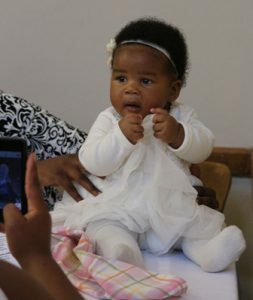 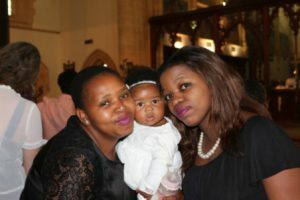 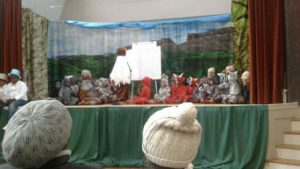 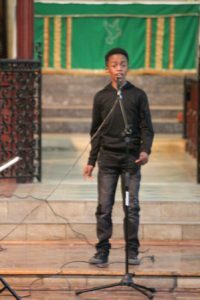 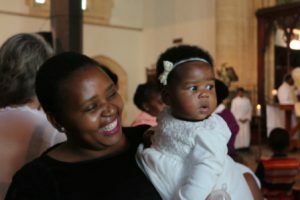 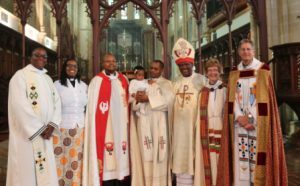 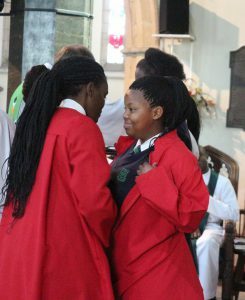 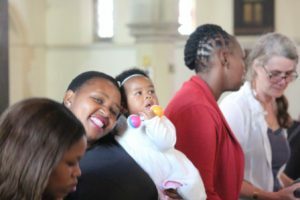 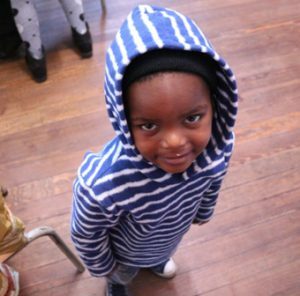 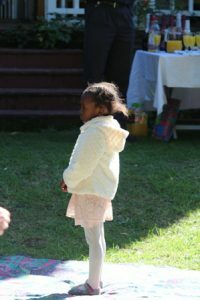 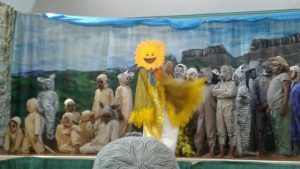 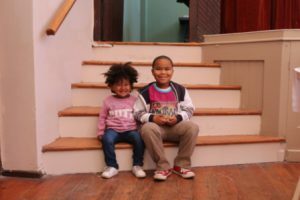 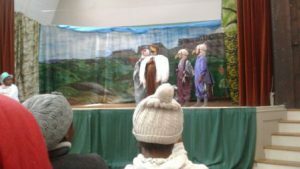 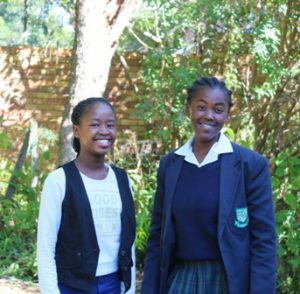 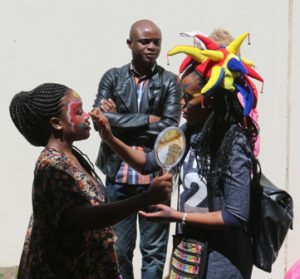 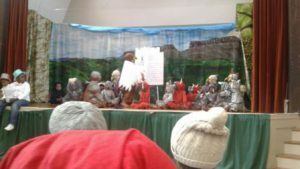 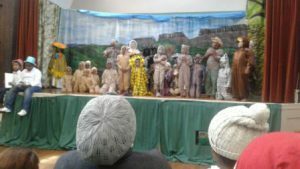 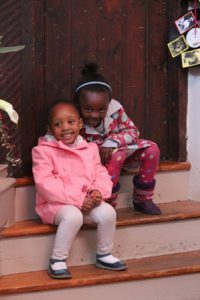 The service was followed by a meeting of choristers, parents and the Makana Choir School committee. 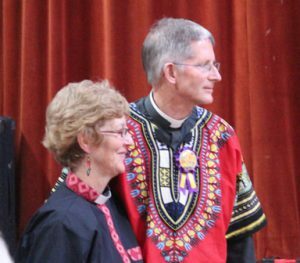 See Photos of Spiritfest 2017 in the Spiritfest Gallery. 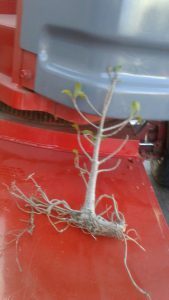 Removal of the invader tree! 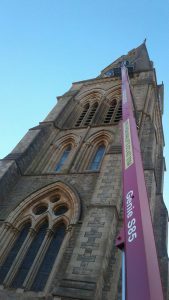 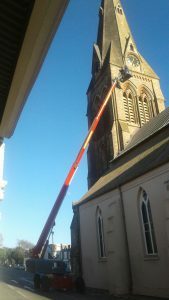 A young tree was growing on the Cathedral tower, and had to be removed, because the roots were penetrating the masonry and would have damaged the structure. 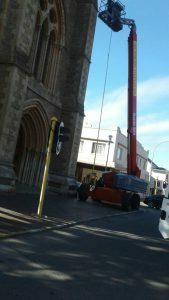 In June, a crane was hired and brought from Port Elizabeth to enable Ruben Klue to get to the root of the problem. 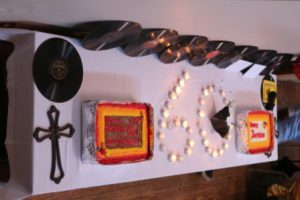 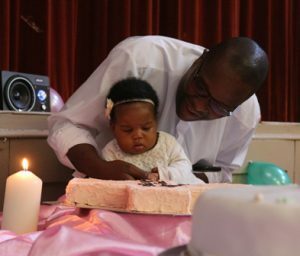 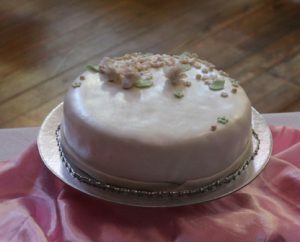 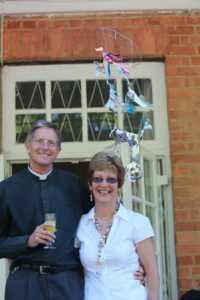 The Dean’s Birthday was the day before Pentecost. 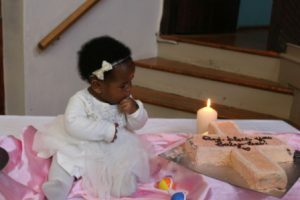 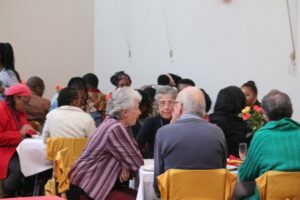 The two celebrations were combined at a splendid Luncheon on Sunday 4 June in St George’s Hall. 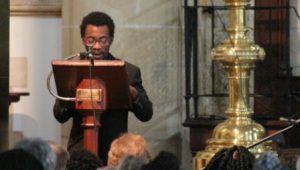 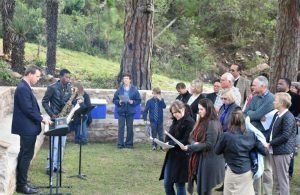 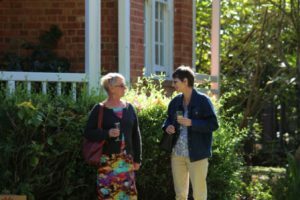 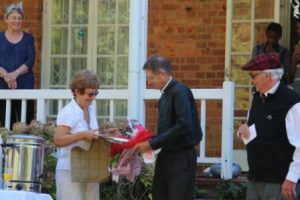 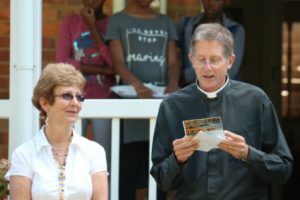 Dean Andrew Hunter preached at the dedication of the “Rose Garden” on Sunday, 14 May. 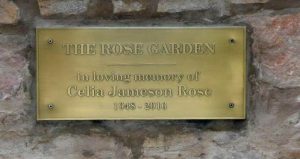 Below: the late Dr Celia Jameson Rose, in whose memory the garden was dedicated; her husband Peter speaking at the Dedication. 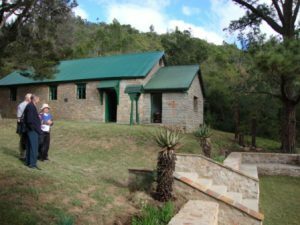 The ground was levelled and retaining walls built by local stonemasons (pictured). 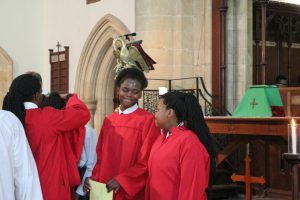 Members of the Cathedral Choir came to lead the singing as Dr Celia had been a devoted member of the Choir. 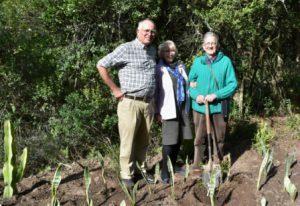 There were no roses in the Garden, until Heather and Andrew Tracey donated one, and planted it. 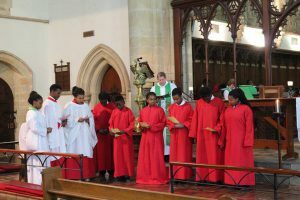 The full Cathedral Choir singing at Choral Evensong for the last time conducted by “Dr A-J”, 26 March. 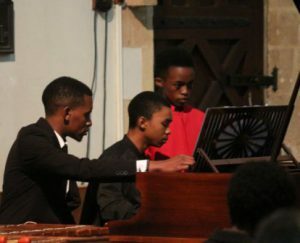 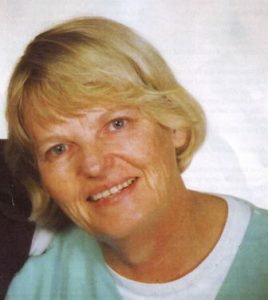 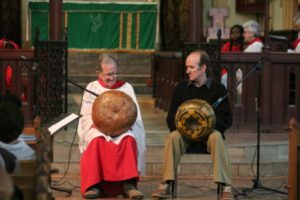 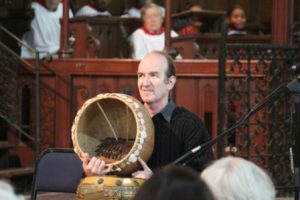 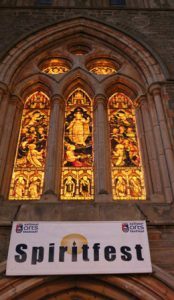 A Concert arranged by Andrew Tracey in honour of A-J Bethke took place on 27 March 2017, with the Cathedral Choir, Rhodes Chamber Choir, Pro Carmine Singers, University Madrigal Singers, and St Michael’s Marimbas among others. 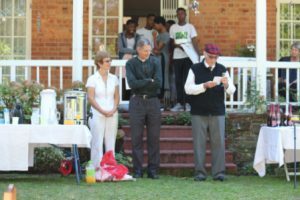 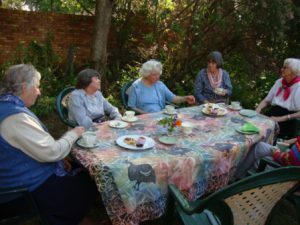 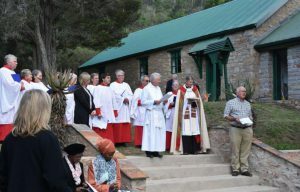 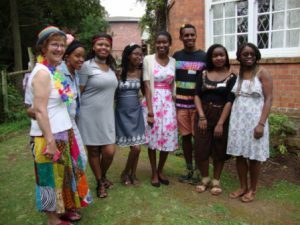 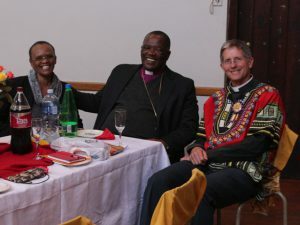 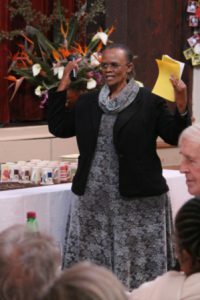 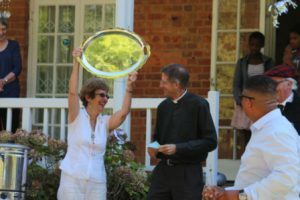 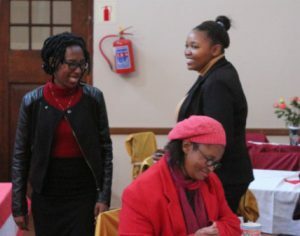 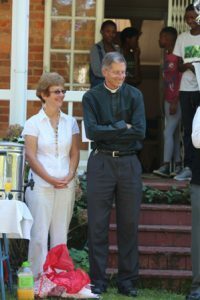 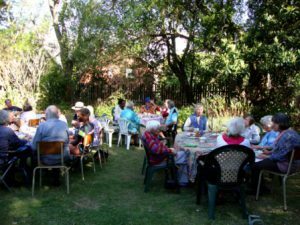 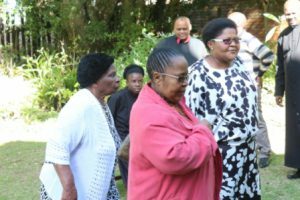 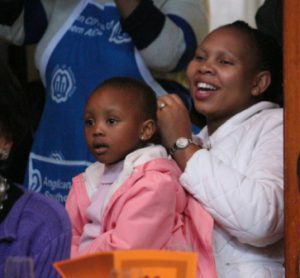 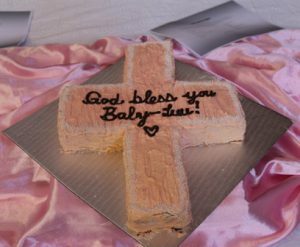 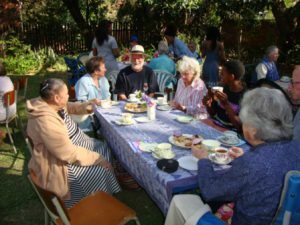 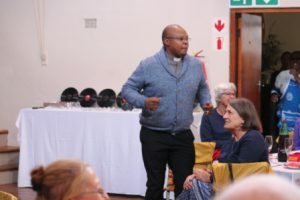 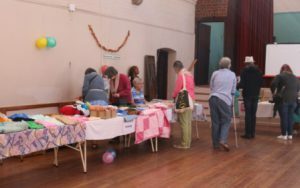 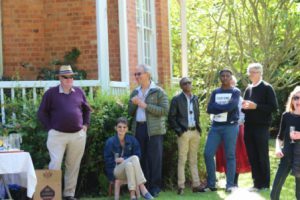 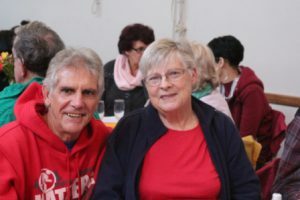 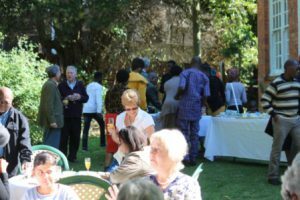 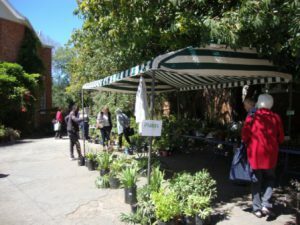 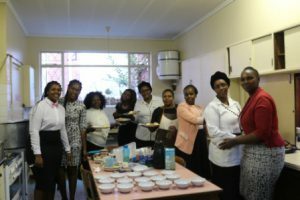 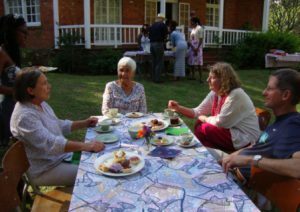 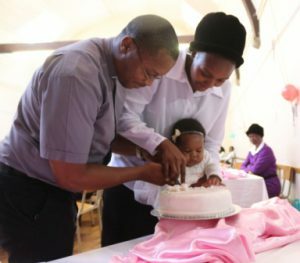 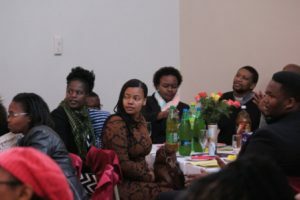 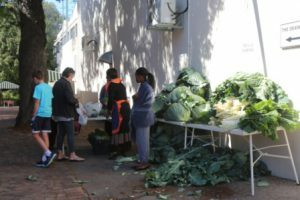 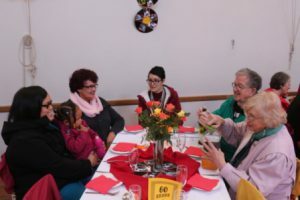 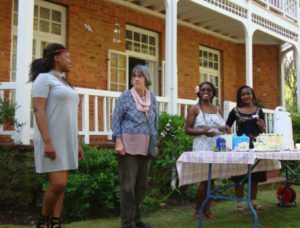 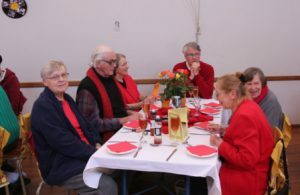 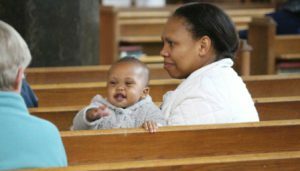 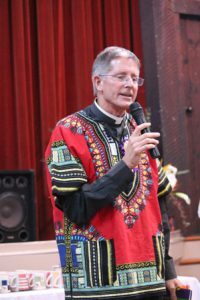 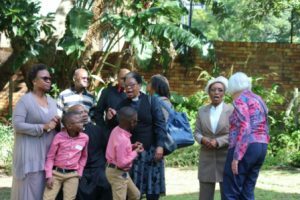 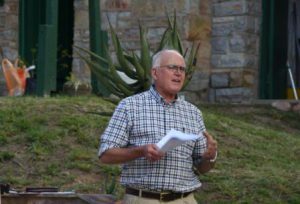 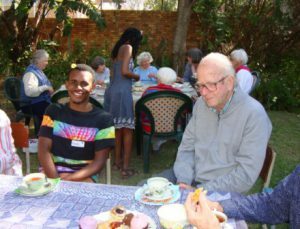 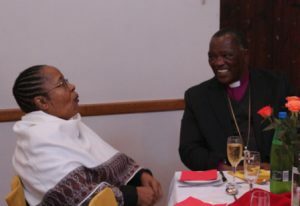 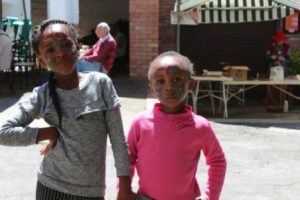 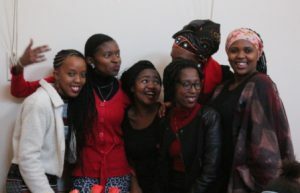 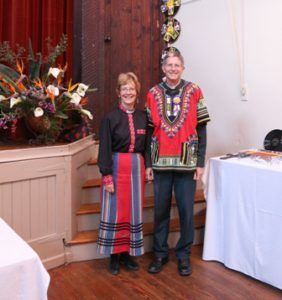 At a bring-and-share luncheon on 2 April, members of the parish spoke and sang tributes to A-J Bethke, and he was presented with an album of letters and photographs compiled as a memento of his five years in Grahamstown.